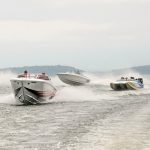 SIMCOE: AUGUST 25-27 – Performance Boat Club Events Inc. 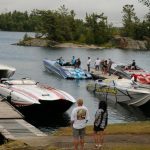 Always a club favourite, we’ll rally at the Port of Orillia on Friday evening and after an “early” night, we’ll meet Saturday morning for our tour of Lake Simcoe. CASH PRIZES AVAILABLE FOR FIRST, SECOND AND THIRD BEST HANDS!!!! And this year, we’d like to add a land component to those who don’t want to boat. Cars and motorbikes are welcome to participate. 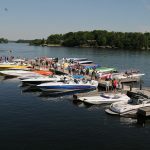 Unfortunately, our room block at the Best Western Plus Mariposa Inn & Conference Centre is sold out but the Champlain Waterfront has recently reopened after a renovation and rooms might be available for our weekend. Try them at 705-325-0770. 630PM – Fionn McCool’s has opened in the former TUX space. Tables have been reserved. 2:00pm – Depart Lagoon City for Roches Point (Alec Cloake’s dock).